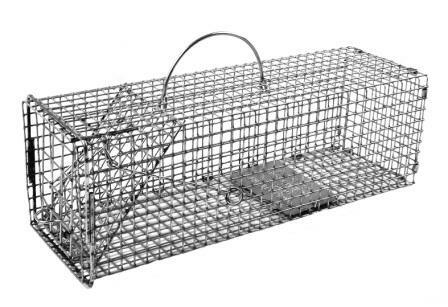 Trapping is the most practical method of eliminating chipmunks in most home situations. 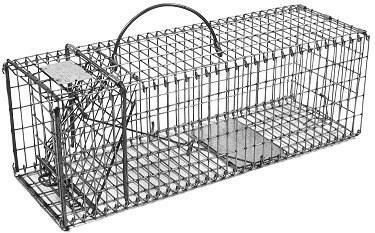 Live-catch wire-mesh traps or common rat snap traps can be used to catch chipmunks. 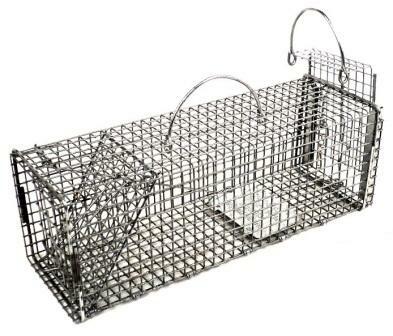 Common live-trap models include our (102, 201) traps. 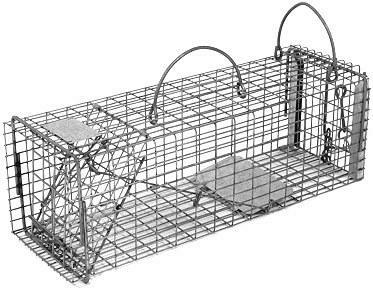 Check traps frequently to remove captured chipmunks and release any nontarget animals caught in them. Avoid direct contact with trapped chipmunks. Transport and release livetrapped chipmunks several miles from the point of capture (in areas where they will not bother someone else), or euthanize by placing in a carbon dioxide chamber. Common rat snap traps can be used to kill chipmunks if these traps are isolated from children, pets, or wildlife. They can be set in the same manner as live traps but hard baits should be tied to the trap trigger. Prebait snap traps by not setting the trap until the animal has been conditioned to take the bait without disturbance for 2 to 3 days. 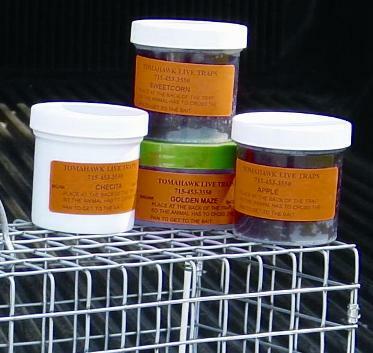 Small amounts of extra bait may be placed around the traps to make them more attractive. Set the snap traps perpendicular to the chipmunk’s pathway or in pairs along travel routes with the triggers facing away from each other. Set the trigger arm so that the trigger is sensitive and easily sprung. To avoid killing songbirds in rat snap traps, it is advisable to place the traps under a small box with openings that allow only chipmunks access to the baited trap. The box must allow enough clearance so the trap operates properly. Conceal snap traps that are set against structures by leaning boards over them. Small amounts of bait can be placed at the openings as an attractant.